Ahh, Google Glass. Even before the masses have had a chance to get a good look at you in the wild, tech enthusiasts are enamored with your sleek design, speculating about all that you can do and how society won’t be the same after your arrival. Seemingly overnight, Google Glass has become technology’s great siren call of 2013, beckoning all toward this amazing gadget as many have just became smartphone converts. Even though it may not be released this year in very large quantities, the headset hasn’t left the eyes of the technology world in months. It began with sightings of a suave Sergey Brin showing up randomly donning the device. Then it graced the craniums of Google employees, fashion models, and select others, which was followed by the release of the developer’s Explorer Edition as the public began to chomp at the bit. Though it’s early days yet, the anticipation for Glass is rooted in what smartphones have become in the half decade or so since the release of the original iPhone. A wireless headset device with a camera and heads-up display is cool enough, but pack in all that smartphones have become as well, and the imagination seems unlimited. As a platform for apps, Glass has the potential to blend the conveniences of mobile devices with augmented reality, lifeblogging, speech and facial recognition, gaming, real-time location awareness, and Internet connectivity – all without having to carry a black brick. It’s no wonder that buzz for the device is so high. Still, there’s fanboy love, which the tech world is familiar with, and then there’s fan frenzy…something akin to modern-day Beatlemania except it spans a larger age range. Let’s call it Glassamania (Googlemania was already written about in 2004), and yes it’s sweeping the world. Just like Beatlemania, Scoble notes that there is a Glass age gap, where the older generation is more skeptical of its importance whereas teen and college student ages see them as defining the future. Furthermore, he adds, “Nearly everyone had an emotional outburst of ‘wow’ or ‘amazing’ or ‘that’s crazy’ or ‘stunning,'” and most people he polled at the five talks he gave raised their hands when he asked if they would buy Glass at a $200 price point. In other words, an intense emotional reaction and widespread adoption means next year Glass could be inescapable, which is exactly what Google would love to see happen – much to the chagrin of those worried about the coming redefining of privacy that camera-bearing headsets will necessitate. In fairness, Scoble’s two week stint trying out Glass wasn’t just a joy ride or a technology binge, but an immersive examination of what life was like with Glass. Clearly he came away changed by the experience and ready to jump headfirst into Google’s evolving ecosystem that could leave smartphones in the dust. Fortunately, developers have had enough time with the device to start producing some apps, as the recently announced Winky promises to let Glass wearers take a picture with a simple wink. That’s not exactly groundbreaking, but as much as people want to be able to take photos, it could become one of the staples when Glass launches. And now, there’s even a reddit app in the works, so that’ll mean more cats pics…aww. 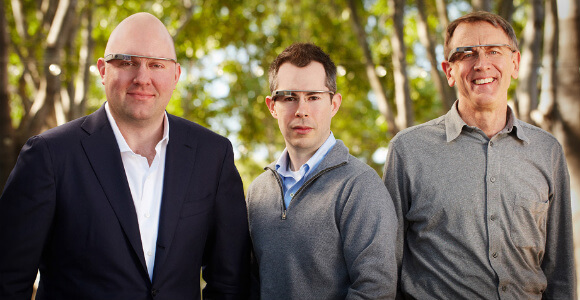 With more than seven months left in 2013, it’s probably a safe bet to say that hype or not, Google Glass will be dominating daily tech news as we all anxiously await the Mountain View Invasion! on the horizon. 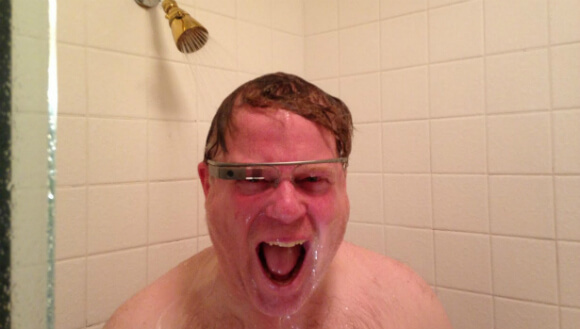 And if Glass can live up to the zeal of early testers, perhaps Scoble won’t be the only one taking selfies in the shower.